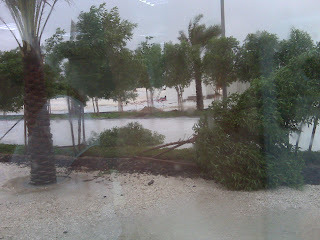 Did anyone else notice the odd-looking three-legged trees around Abu Dhabi? In my humble opinion, they provide a very good illustration of relationships of Emiraties and expats in the country's development. Enough said. 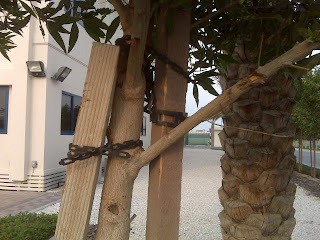 "Tree staking is never done with the intention of harming a tree. 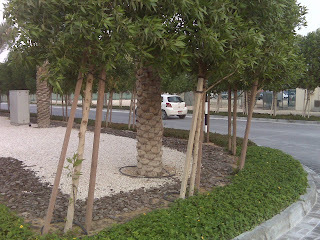 Staking is usually done with love and with a desire to promote root and trunk growth and protect a young tree from harm. "What some tree planters do not understand is, rather than helping a tree develop root and trunk growth, improper tree staking replaces a supportive trunk and root system with an artificial support that causes the tree to put its resources into growing taller but not growing wider. "If and when the stakes are removed, the lack of trunk and root development makes these trees prime candidates for breakage or blow-down. In the first good windstorm, down these trees come. They have lost the supportive protection of natural development."